Turkish President Recep Tayyip Erdoğan has declared a state of emergency in the wake of the failed coup of July 15. It’s not yet clear how the President intends to interpret the powers awarded to him in this situation but there are ongoing concerns that his government will clamp down on human rights. Turkey will derogate the European convention on human rights insofar as it does not conflict with its international obligations. Kurtulmuş added that Turkey was acting “just like France” in taking this action – referring to the extended state of emergency that has followed the terrorist attacks of the past year there. A situation that was originally meant to last three months following the Paris attacks of November 2015, has been extended to last another six months following the July attack in Nice. Both cases raise serious questions about how long a state of emergency is supposed to last in this day and age, and how ordinary people are affected while they are in place. Under Article 15 of the European Convention on Human Rights (ECHR) a country can declare a state of emergency, “in time of war or other public emergency threatening the life of the nation”. Once an emergency is declared, however, a state is not given free rein to do as it sees fit. The measures taken must still be “proportionate to the exigencies of the situation”. To protect human rights, Article 15 has a triple lock. To derogate from the convention, an emergency must exist; the measures being proposed must be proportionate; and some rights can never be violated. Torture or inhuman and degrading treatment, for example, are never permissible, no matter how extreme the emergency. The ECHR is vague about the conditions that constitute an emergency, so in some ways, it’s not clear whether what is happening in Turkey constitutes one. The European Court of Human Rights has never found that an emergency did not exist in a state that declared one. It has taken a very hands off approach to this issue, deferring instead to each government’s assessment of the situation in their country. A large amount of trust is placed in a state’s government on this question. Emergencies, however, are not just about the facts on the ground that give rise to an extreme crisis; they also reveal a lot about the person or body declaring a state of emergency and what their motivations are. While the European Court of Human Rights has never found that a state of emergency did not exist in a country, the now defunct European Commission of Human Rights (a tribunal body that prior to 1998 would make preliminary decisions on a case before the Court heard it) has. The Commission rejected a 1967 declaration of a state of emergency in Greece by the military dictatorship that governed at the time. The Commission found that no “threat to the life of the nation” existed and that the military dictatorship had fabricated the emergency in order to crack down on the communist opposition. Unlike the government in the Greek case, Erdoğan was democratically elected. But we have to ask ourselves whether we can simply assume that because a state’s government has been elected, it will protect human rights. Indeed, faced with an emergency, a government might clamp down on human rights to prove to a fearful public that it is “doing something”, whether that something is effective or not. Emergencies are precisely when human rights are needed most. Democracy also requires respect for the rule of law. All state power is exercised through the law, and nobody is above the law. An independent and functioning judiciary is fundamental to this. Erdoğan’s purging of the judiciary in Turkey is deeply worrying, to say the least. Democracy likewise requires free speech and the communication of ideas. While Article 10 of the ECHR, which protects freedom of expression, can be derogated from in an emergency, any infringement must still be proportionate. 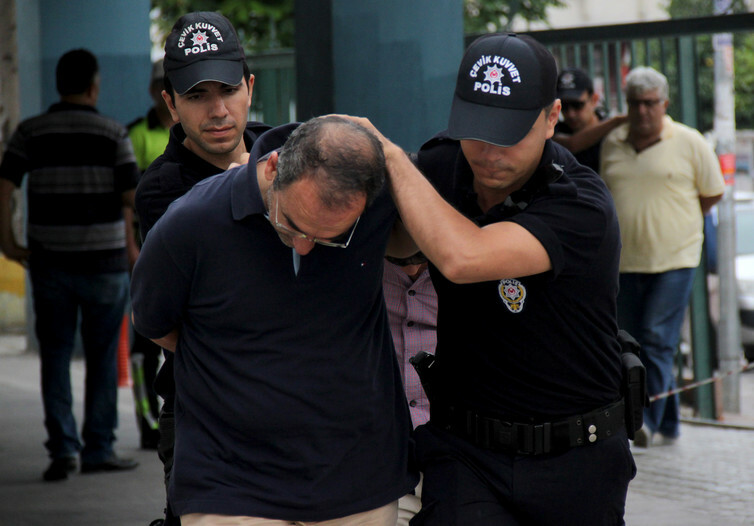 The decisions to fire and detain academics, and prevent people from travelling abroad are an unprecedented violation of academic and democratic values in Turkey. And it didn’t startwith the failed coup. Erdoğan’s declaration of a state of emergency is deeply suspect. Turkey’s emergency has an initial time limit of three months; however, emergencies tend to be perpetuated. France’s experiment with emergency powers – which Turkey is drawing parallels to – is a case in point. The nature of the terrorist threat facing France makes assessing when it has been defeated incredibly difficult. The terrorist attacks that have caused this situation are not committed by an army in uniform but people only connected in the loosest sense by an ideology. That makes them hard to identify or engage. In light of the challenges posed by Islamic extremist terrorism, the European Court of Human Rights, in a case involving the UK’s declaration of a state of emergency following 9/11, has said that an emergency may be perpetual. Again, this is reflective of the court’s deferential approach to the existence of a state of emergency. It undermines the entire justification of declaring a state of emergency in the first place, which is to restore the status quo that existed prior to the declaration. With the introduction of emergency powers comes the temptation for misuse. 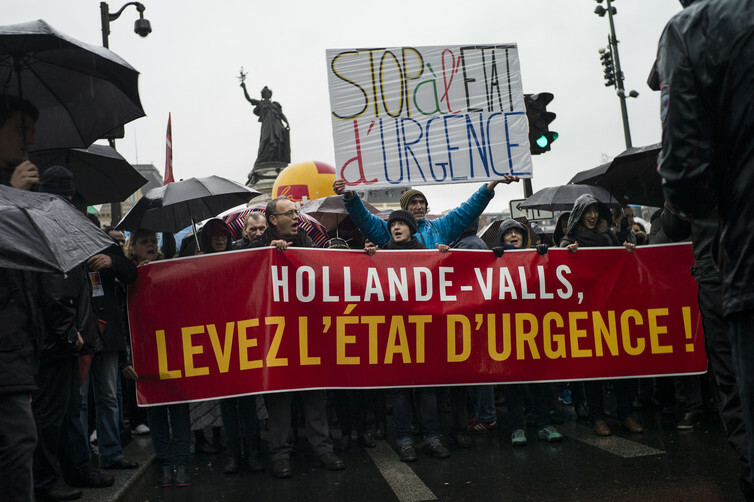 France’s state of emergency was less than a month old when its emergency powers were used, not in the fight against suspected IS terrorists, but to place climate change protesters under house arrest during the Paris Climate Summit in December. And while the state seems to have made the most of its extended powers in this case, it still wasn’t able to prevent the attack in Nice. It will take some time before the European Court of Human Rights will get to examine Turkey’s emergency. However, even if the emergency is eventually lifted, it is hard to imagine that “normal life” after the emergency will be the same as “normal life” before it. States of emergency have a dark history of being used in a transformative sense to usher in tyrannical regimes in the guise of confronting a threat to the life of the nation. It would be wise to recall the warnings of British judge Lord Hoffmann that the real threat to the life of the nation comes not from terrorism but from laws such as these.